Rain showers early then thundershowers for the afternoon. High 69F. Winds S at 10 to 15 mph. Chance of rain 100%.. Journalists at the New York Times and the Washington Post swallowed every crazy story the Democrats spun about Trump — and then blared them as fact on their front pages with little or no skepticism. But the Trump Haters’ bubble broke with a huge pop last weekend when Attorney General William Barr reported that Mueller’s investigation had found that the president was telling the truth. I’d cry too if I were one of those guys. After two years of being wrong, wrong, wrong about Trump and the Russians, their credentials as pundits or commentators are shot — and apparently even many of their loyal viewers know it. The large audience of liberals Maddow had built up with her tedious nightly “seminars” about Trump’s alleged treason dropped by about 20 percent this week — probably because so many distraught viewers are visiting grief counselors. Meanwhile, President Trump has the last laugh — a big one — and he now has the high political ground. He’s already embarked on a “No Collusion” victory tour in the Midwest and his chances are looking better than ever for re-election in 2020. The Democrats’ new socialist ideas — Medicare for all, free college tuition and the silly Green New Deal — are impossible dreams that can never be paid for. 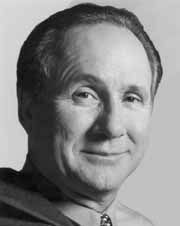 Michael Reagan is the son of President Ronald Reagan.